“The Fat Flush Plan” by Ann Louise Gittleman, Ph.D., C.N.S. is a New York Times bestselling that has rocked the world of dieters. Filled with detailed ways to cleanse your liver by eliminating toxins that prevent it from flushing fats efficiently the book also includes meal plans and recipes, an ongoing weight loss program, tips on eating out, and a newly developed lifestyle program for complete detox dieting. Millions of women who have followed Ann Louise’s proven path to a slimmer, healthier life, including me. In “Three Favorite Fat Flush Plan Recipes,” I shared three of my favorite recipes using the Fat Flush Body Protein, a gluten and dairy-free protein powder containing yellow pea protein, brown rice protein, vanilla bean extract, guar gum, inulin, and stevia. The three Fat Flush recipes do not include this protein to illustrate you do not have to purchase and eat this protein type for success on the plan. These recipes also happen to all include zucchini, a natural source of vitamins C, A, B-1 and B-6. Zucchini is also a natural source of phosphorus, copper, magnesium, zinc, iron, and calcium. 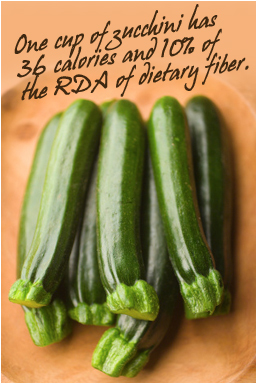 It is also low in calories with just 25 calories in one medium-sized zucchini. Daily intake of zucchini helps to effectively lower your high homocysteine levels and is known to assist your body in supporting the arrangement of capillaries. Regular consumption of the vegetable helps to protect against colon cancer, averts high cholesterol and prevents multiple sclerosis. So the next time you are in the produce section of the supermarket, be sure to pick up a few zucchinis and try one or all of the recipes below. I know you will be delighted by the taste while your body will reap the nutrients. Zucchini and Beef Delight: In a large, nonstick skillet over medium heat, heat 1/2 c. chicken broth. Add 1 medium diced onion, 1 sliced green pepper, 4 minced garlic cloves and 4 small zucchini (cut into 1/4 inch slices) and sauté until soft. Transfer vegetables onto plate and set aside. In the same nonstick skillet, 1 lb. ground beef, 1 tsp. ground cumin, 1/2 tsp. cinnamon, 1 tsp. cayenne and 1 tsp. ground turmeric until beef is cooked through. Add cooked vegetables, diced one 14.5 oz. can no-salt diced tomatoes and 2 tbsp. tomato paste to skillet. Heat through and add a handful of fresh chopped cilantro before serving. Serves 4. Zucchini Cheese Bake: Preheat oven to 350° F. For this recipe, you will need 2 c. thinly sliced zucchini, 4 ounces cubed Swiss cheese, 2 tbsp. grated Parmesan cheese, 2 tbsp. chopped fresh parsley, and 1 tbsp. chopped chives. In a nonstick baking dish you will create 3 layers. Spread the first layer with 1/3 of the above ingredients. Repeat this process twice and top with 1/2 cup bread crumbs. Bake uncovered for 30 minutes until the bread crumbs all golden brown, not burnt. Serves 4. Zucchini Bread: Preheat oven 350° F. Lightly coat an 8- inch bread or loaf pan with olive oil spray. In a large bowl, stir together 1 c. spelt flour, 1 c. oat flour, 1 tsp. sea salt, and 1 tbsp. non-aluminum baking powder. 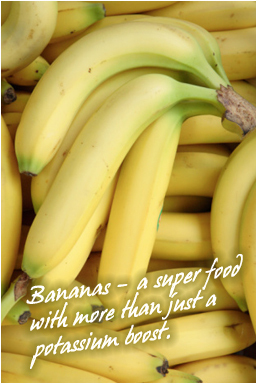 In a small bowl or blender, combine 1/2 ripe banana, 3 tbsp. walnut oil, 1/2 c. water, 1/4 c. natural honey, 1/4 c. pure maple syrup, 1 egg, 1 oz. silken tofu, 2 cc. shredded zucchini, 1/2 c. chopped walnuts until smooth. Pour wet ingredients into dry, stirring just until mixed. Fold in zucchini and nuts. Pour batter into pan. Bake for 45 to 55 minutes, until knife inserted into center comes out clean and top springs back when lightly pressed with your finger. Cool completely before cutting.Store covered in refrigerator for up to 1 week. May also be frozen. Makes 1 loaf. I was one of those millions who have tried her diet and with great success. I dropped weight and lost what little cellulite I had. Now a follower of the “Lifestyle Eating Plan,” I thought I would share three of my favorite fast flush plan recipes. All include the Fat Flush Body Protein, a gluten and dairy-free protein powder – containing yellow pea protein, brown rice protein, vanilla bean extract, guar gum, inulin, and stevia – and one of the highest protein efficiency ratios available. The Fat Flush Body Protein contains 20 grams of protein per serving and will keep you sustained and energized for several hours, preventing cravings and temptations while stabilizing your blood sugar. 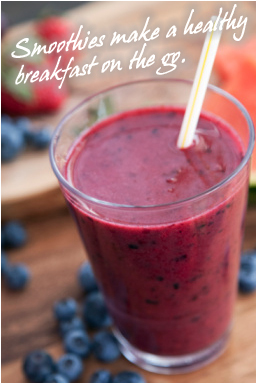 The Blueberry Smoothie below is my absolute favorite and I make it daily. Even my daughter likes it! Sweet Potato Casserole: Preheat oven to 325° F. Lightly coat a 9-inch square baking dish or pie plate with olive oil spray. Combine 2 medium sweet potatoes (peeled, cubed and cooked), 3 eggs, 1/2 c. water, 2 scoops Fat Flush Body Protein (vanilla), 1 tsp. cinnamon, 1/2 tsp. cloves and 1/4 tsp. ginger in blender or food processor until well blended. Pour into baking dish or pie plate. Bake for about 30 minutes, until knife inserted into center comes out clean. Reheat at 250° F for about 15 minutes, or until warm. (Note: This dish may be made up to 3 days ahead; cover and refrigerate. Can also be frozen.) Serves 6. Energy Bars: Heat oven to 300° F. Lightly coat bottom of a 9-inch baking dish with olive oil spray. In a small bowl, mix dry 1 c. nut flour (almond or hazelnut), 1/2 cup Fat Flush Body Protein (vanilla or chocolate) and 1 packet Stevia Plus (optional) together. Add 2 tbsp. unsweetened organic nut butter (almond or hazelnut) and 1/4 c. shredded apples or pears. Mash together with a fork until mixture can be formed into a ball. You may need to add a bit more fruit or nut butter for dough to hold together. Press firmly into the bottom of baking dish to ensure a densely packed bar which won’t crumble. Dough will come about half-way up pan.Lightly cut into 6 equal-sized bars. Bake for 15 minutes. Let cool, cut again along scored lines. With a spatula, carefully remove from pan. Wrap bars individually; freeze until needed. Makes 6 bars. 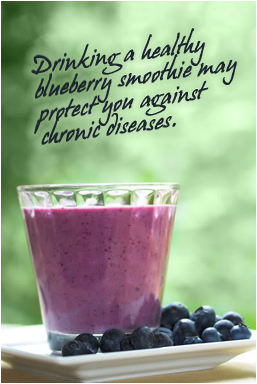 Blueberry Smoothie: Combine 8 oz. cran-water (1oz. 100% unsweetened cranberry juice to 7 oz. of water), 1 scoop Fat Flush Body Protein (vanilla), 1 c. fresh or frozen blueberries, 1 tbsp. flaxseed oil, 1 tbsp. flax or chia seeds, and ice cubes (optional) in a blender until blend into smooth. Serves 1. Growing up, on any given night I could tell you what was for dinner at home. Baked chicken on Mondays, meat loaf or another beef dish on Wednesdays, pasta on Thursdays and Sundays, and homemade pizza or Stromboli on Fridays. Tuesdays and Saturdays were saved for going out to dinner, oftentimes to the very same restaurant for six months at a time. While mom was a great cook and dad selected good restaurants to dine, I didn’t want this type of repetition in my home. So I made it point not to make the same meal twice and would frequently ask my two children what they would like for dinner. As a result of this quest to make different dishes regularly, I have collection of cookbooks that far exceeds my needs. In any event, I love the thought of having so many recipes at my fingertips as I love to whip up a great meal with family and friends. So once again I will share with you some of my favorite recipes as well as my children. 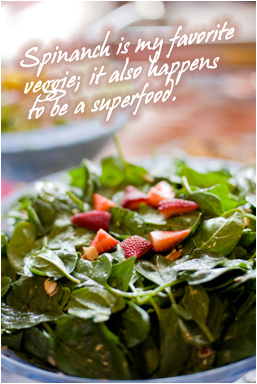 I love spinach; it’s my favorite veggie and strawberries are one of my favorite fruits, hence the spinach and strawberry recipes. Both of my kids love salmon. And while they will tell you they love it just plain, I am constantly trying different ways to prepare it. The carrot cake is everyone’s favorites. I hope you enjoy these and more to come! Spinach and Strawberry Salad: In a large bowl, toss together 2 bunches spinach (rinsed and torn into bite-size pieces) and 4 cups sliced strawberries. In a medium bowl, whisk together 1/2 cup vegetable oil, 1/4 cup white wine vinegar, 1/2 cup white sugar, 1/4 teaspoon paprika, 2 tablespoons sesame seeds, and 1 tablespoon poppy seeds. Pour over the spinach and strawberries, and toss to coat. The carrot cake recipe is loved by all. Sweet ‘n’ Hot Glazed Salmon: Preheat your oven’s broiler, and grease a broiling pan. In a saucepan over medium heat, mix together 1 1/2 cups apricot nectar, 1/3 cup chopped dried apricots, 2 tablespoons honey, 2 tablespoons reduced sodium soy sauce, 1 tablespoon grated fresh ginger, 2 cloves garlic (minced), 1/4 teaspoon ground cinnamon and 1/8 teaspoon cayenne pepper. Bring to a boil, then reduce heat to medium-low, and simmer for about 20 minutes, or until reduced by about half. Stir occasionally to prevent burning. Remove 1/4 cup of the glaze for basting, and set the remaining aside. Place 1 (3/4 pound) salmon filet on the greased broiling pan, and brush with glaze. Broil three inches from the heat for 8 to 12 minutes or until salmon flakes easily with a fork. Gently turn over once during cooking, and baste frequently during the last 4 minutes. Serve with remaining glaze. Oven Roasted Asparagus: Preheat an oven to 425 degrees F. Place 1 bunch thin asparagus spears (trimmed) into a mixing bowl, and drizzle with 3 tablespoons olive oil. Toss to coat the spears, then sprinkle with 1 1/2 tablespoons grated Parmesan cheese (optional), 1 clove garlic, minced (optional), 1 teaspoon sea salt, and 1/2 teaspoon ground black pepper. Arrange the asparagus onto a baking sheet in a single layer. Bake in the preheated oven until just tender, 12 to 15 minutes depending on thickness. Sprinkle with 1 tablespoon lemon juice (optional) just before serving. Carrot Cake: Preheat oven to 350 degrees F (175 degrees C). Lightly grease a 9X13 inch pan with non-fat cooking spray. In large mixing bowl, beat 6 egg whites. Slowly beat in 1 1/3 cups white sugar, then 1 cup applesauce, 1/2 cup skim milk, and 1 1/2 teaspoons vanilla extract. Stir in 1/4 teaspoon ground cloves, 1/2 teaspoon ground nutmeg, 1 tablespoon ground cinnamon, 2 teaspoons baking soda, and 1 cup whole wheat flour and 1 cup all-purpose flour. Stir in, one ingredient at a time, 1 (8 ounce) can crushed pineapple with juice, 2 cups shredded carrots, 1/2 cup chopped walnuts, and 1/2 cup raisins. Pour into the prepared pan. Bake for 35 – 40 minutes in the preheated oven. It is done when toothpick inserted in center comes out clean. Growing up, Mom always had bananas around the house. They are her favorite fruit and she still has at least one daily. She ate them from the peel, made breads, and tossed them in Jell-O. For me, not so much. Berries were always my favorite and I had to learn to like them before I could love bananas. Today, I do love bananas, and have at least one a day just like Mom. I have discovered I prefer them when they are still slightly green around the edges. I try to purchase only enough for the next few days. I dangle them on a banana holder to keep from ripping too soon and put them in a brown paper bag and place them in the fridge in the event they do. If they are overripe, then it’s time to whip up one of my favorite banana bread recipes and add them in! I also discovered a new way to eat them. Peel the fruit from the opposite end. Try it! You might be pleasantly surprised! 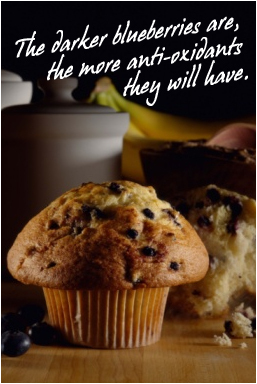 The health benefits of bananas seem literally endless, probably one of the main reasons why it’s Mom’s favorite fruit. First of all, they consist mainly of fiber which is great for restoring a normal bowel function from either constipation or diarrhea. Next, they are contain a lot of the good sugar – glucose, fructose and sucrose – making this fruit ideal for an immediate source of energy. Bananas are also high in B vitamins that have shown to improve nerve function, and high in iron, which helps the body’s hemoglobin function. They additionally contain tryptophan, an aminoacid that converts to serotonin which helps improve your mood. Bananas also have a natural antacid effect in the body. So if you suffer from heartburn, an upset stomach, ulcers, or morning sickness, try eating a banana for soothing relief. I do this all the time when I’m nausea and it works like a charm! But what bananas are probably most known for their high concentration of potassium, a nutrient necessary for human life and health. The benefits of potassium alone include lower blood pressure, anxiety, and stress; less of chance for strokes, cramps, and heart and kidney disorders; heightened metabolism, muscular strength, and water balance; and better function of nervous system and electrolytic functions. There have also been many studies on the health benefits of bananas. According to a study in The New England Journal of Medicine, eating bananas as part of a regular diet can reduce the risk of death by strokes by as much as 40 percent. Research published in the Archives of Ophthalmology states that adults who eat at least three servings of bananas a day have a reduced risk of developing age-related macular degeneration by 36% (the primary cause of vision loss in older adults) in comparison to those who consume less than 1.5 servings of fruit daily. And research findings published in the International Journal of Cancer has shown that daily consumption of bananas is highly protective to kidney health. There are also some surprising benefits and unusual uses of bananas. Some people report that rubbing the inside of a banana peel on a mosquito bite is very effective in reducing itching and swelling. During stressed out moments, there are those who eat a banana versus taking medications for a healthier rebalance. And some smokers consume bananas to help them kick the habit. The vitamins B6 and B12 in addition to the potassium and magnesium in bananas can help the body recover from the effects of nicotine withdrawal. Countless reasons to eat bananas! So besides eating them right from the peal, below are a few of my favorite healthy banana recipes. I hope you enjoy them as much as I do. Banana and Pineapple Smoothie: Place 4 ice cubes, 1/4 fresh pineapple (peeled, cored and cubed), 1 large banana cut into chunks, and 1 cup pineapple into the bowl of a blender. Puree on high until smooth. Banana Bread: Preheat oven to 375 degrees F. Lightly grease and flour a 9×5 inch loaf pan. In a large bowl, stir together 2 1/4 cups all-purpose flour, 1 teaspoon baking soda, 1/2 teaspoon ground cinnamon, 1/2 teaspoon ground nutmeg, and 1 cup white sugar. Stir in 2 eggs, 1/3 cup unsweetened applesauce, 4 ripe bananas (mashed), and 1 tablespoon vanilla extract. Fold in 1 cup raisins and 1 cup chopped walnuts if desired. Pour batter into prepared pan. Bake in preheated oven for 45 to 60 minutes, until a knife inserted into center of the loaf comes out clean. Banana Pancakes: In a large bowl, mix all-purpose 1 cup all-purpose flour, 2/3 cup whole wheat flour, 1/4 teaspoon salt, 2 1/2 teaspoons baking powder and 2 tablespoons white sugar. Stir in 1 1/2 cups buttermilk and 2 small ripe bananas (finely chopped) just until moistened. Heat a lightly oiled griddle or frying pan over medium high heat. Pour or scoop the batter onto the griddle, using approximately 1/4 cup for each pancake. Brown on both sides and serve hot. Banana Waffles: Preheat waffle iron. In a large mixing bowl, sift together 1 1/4 cups all-purpose flour, 3 teaspoons baking powder, 1/2 teaspoon salt and 1 pinch ground nutmeg. Stir in 1 cup 1% milk and 1 egg until mixture is smooth. Spray preheated waffle iron with non-stick cooking spray. Pour two tablespoons of the waffle batter onto the hot waffle iron. Place two slices of a banana on top of the batter and then spoon another two tablespoons of batter on top of the banana. Cook until golden brown. Serve hot. Banana Pudding: In large bowl combine 8 ounces sour cream, 1 (8 ounce) container frozen whipped topping (thawed), 1 (5 ounce) package instant vanilla pudding mix and 2 cups whole milk. Stir well. In the bottom of a trifle bowl or other glass serving dish, put a layer of vanilla wafer cookies, then a layer of pudding mixture, then a layer of bananas (4 bananas, peeled and sliced). Repeat until all ingredients are used. Refrigerate until serving. One of my passions is cooking and baking. I love it so much, that I have well over 100 cookbooks and have often thought of penning my own. The challenge I have faced as a single parent raising two children is their finickiness. While I will eat just about anything, neither of my children like the same foods. Hence, over the years I have often found myself cooking two different “kid-friendly” meals, meaning pasta, Stromboli, and burgers. Now that my children are in college, they have finally gravitated to have healthier meals; in fact they insist of it. Rarely will you see them divulge in spaghetti, eat a hot dog, or have a piece of dessert. Today when they are home for dinner, I’m almost always at the supermarket after work, picking up fresh meats and vegetables to whip up a meal we will all enjoy. So I thought I would begin to share some of my favorite recipes. We all love to eat, so why not have another recommended recipe to try out? The following is one of my summer dinnertime meals. It’s simply and easy to prepare. More importantly, it’s delicious! So print this out and tuck it away in your favorite recipe book or collections. I’m sure they will become favorites with your family as they are with mine. Fresh Herbed Halibut. Preheat the oven’s broiler and coat a baking sheet or broiling pan with olive oil. Rinse the one 2 pound halibut fillet and pat dry. Place on the greased pan, and brush with olive oil or coat with olive oil cooking spray. Squeeze the juice from the wedges of 1 large lemon over the entire fillet, and season generously with 1 teaspoon sea salt first, then 1 teaspoon garlic powder and finally 1 tablespoon dill weed. Broil for 15 to 20 minutes in the preheated oven, until the fillet is opaque and can be flaked with a fork. 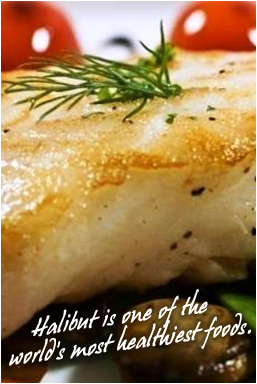 Broiling time may depend on the thickness of your fillet. Serves four. Grilled Lemon-Pepper Zucchini. Preheat an outdoor grill for high heat. When hot, lightly oil the grate. Combine the 2 sliced small yellow squash, 2 sliced small zucchinis, 1 diced small onion, and 1 minced red bell pepper in a bowl. Drizzle with 1 1/2 tablespoons extra-virgin olive oil and sprinkle in 1 tablespoon lemon-pepper seasoning. Stir to coat. Place the vegetable mixture in the center of a large sheet of aluminum foil and cover it with another large sheet of foil. Roll the edges of the foil sheets together to seal into a packet. Place the packet on the preheated grill. Cook until the vegetables are tender, about 30 minutes, turning the packet every 5 to 10 minutes. Serves four. Baked Sweet Potato Fries. Preheat an oven to 350 degrees F. Rinse 2 sweet potatoes with cold water and drain. Cut into French fries and spread them onto a baking sheet. Mix t1/4 teaspoon cinnamon, 1/4 teaspoon ground cardamom, 1/4 teaspoon ground ginger, 1/4 teaspoon ground coriander, and an optional 2 tablespoons light brown sugar together in a bowl; sprinkle over the fries. Drizzle 3 tablespoons light olive oil over the fries. Bake in the preheated oven until tender, about 30 minutes. Season with kosher salt and ground black pepper to taste. Serves four. For dessert in the summer, I always recommend fresh fruit, especially chilled watermelon! There’s nothing better on a summer night than sitting out back, chatting and eating a good meal with a sweet ending. 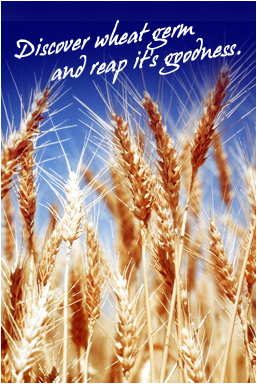 Many are not familiar with wheat germ or its healthy benefits. Once I was asked if wheat germ was some type of virus catchable by eating infected wheat products. This is farthest from the truth! It is not a bacterium by any means. 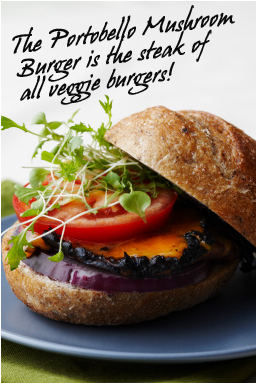 It is actually an excellent source of many essential nutrients for your body bundled together. 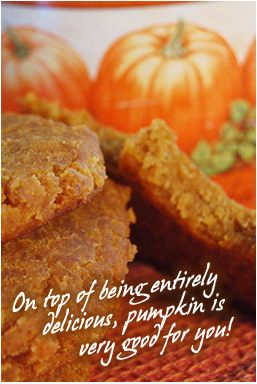 According to a Mayo Clinic ranking, it is also considered to be one of the top 10 healthiest foods. I was first introduced to wheat germ as a child. Mom used it as one of her ingredients in her morning power drinks that she created in the blender. She would also add wheat germ to pancake batter, sprinkled it in our cereal, hid it in baked cookies and breads, and put it in break crumb mixture to coat chicken for dinner. Anywhere she could include it, she would. So what is it? Well, wheat germ is not a food per se. It is actually the nutrient-rich embryo of the wheat kernel, removed during the processing of whole wheat grains to white flour, making up only about 2-3% of the entire wheat kernel. It is a very concentrated source of nutrients, containing numerous vital vitamins and minerals and healthy fats. Packed with power, two tablespoons a day of wheat germ provide an excellent source of protein, fiber, unsaturated fat, vitamin E, vitamin B1 B2, B6 phosphorus, zinc, thiamine, magnesium and pantothenic acid. Wheat germ also contains gluten. So if you are allergic to gluten, avoid it. Wheat germ has many other health benefits. It can lower cholesterol, fight cancer and heart disease, prevent constipation and strokes, and improve digestion. It also helps to improve the storage of energy in muscles, boosts endurance and the overall stamina of the body, enhances body reflexes and improves overall alertness. Wheat germ additionally contributes in strengthening the immune system, balancing metabolism, and increasing the ability to cope with stress. It fights diabetes, prevents weight gain, protects the muscles, blood, lungs, and eyes, and, as an added bonus, slows down the aging process. What else can you possible ask for? What is also great about wheat germ is that you can add easily it to a lot of the foods and drinks you already eat, such as yogurt, salads, casserole dishes, baked goodies and more. You can cook with it, bake with it, mix with it and sprinkle it in a favorite recipe. Below are some of my own favorite wheat germ recipes. Wheat Germ Whole-Wheat Buttermilk Pancakes: In a medium bowl, mix 2 eggs with 1/4 cup canola oil and 2 cups buttermilk. Stir in 2 teaspoons baking soda, 1/2 cup wheat germ, 1/2 teaspoon salt and 1 1/2 cups whole wheat pastry flour; mix until blended. Heat a lightly oiled griddle or frying pan over medium-high heat. Pour or scoop the batter onto the griddle, using approximately 1/4 cup for each pancake. Brown on both sides, turning once. Yields 12 pancakes. Wheat Germ Cinnamon Pumpkin Waffles: Preheat a waffle iron according to manufacturer’s instructions. Combine 1 cup whole wheat flour, 1/4 cup wheat germ, 1/3 cup white sugar, 1 teaspoon ground cinnamon, 1 teaspoon pumpkin pie spice, 1/2 teaspoon ground nutmeg, 1/2 teaspoon salt, and 1 tablespoon baking powder in a bowl. Set aside. Beat together 3/4 cup milk, 1 /2 cup pumpkin puree, 2 tablespoons melted butter, 2 tablespoons olive oil, 1/2 cup unsweetened applesauce, 1 egg, and 1 egg white. Stir flour mixture into the pumpkin mixture along with 1/2 cup chopped pecans. Ladle the batter onto the preheated waffle iron. Cook the waffles until golden and crisp, 5 to 7 minutes. Yields 8 waffles. Wheat Germ Cookies: Preheat the oven to 325 degrees F (165 degrees C). In a large bowl, cream together 1 cup butter (softened), 1 cup white sugar and 1 cup brown sugar until smooth. Beat in 2 eggs, one at a time then stir in 1 1/2 teaspoons vanilla extract. In a separate bowl, combine 1 1/2 cups rolled oats (not instant oats), 1 cup wheat germ, 1 cup all-purpose flour, 1 teaspoon baking powder, 1 teaspoon baking soda and 1 teaspoon salt. Stir the dry ingredients into the creamed mixture. Finally, mix in 1 cup flaked coconut, 2 cups chopped pecan s and 1 cup chopped pitted dates. Drop by rounded spoonfuls onto ungreased cookie sheets. Bake for 8 to 10 minutes in the preheated oven. Allow cookies to cool on baking sheet for a couple minutes before removing to a wire rack to cool completely. This allows them to flatten and firm up. Yields 5 dozen cookies. Wheat Germ Double Chocolate Muffins: Preheat an oven to 400 degrees F (200 degrees C). Grease 12 muffin cups, or line with paper muffin liners. Combine 1 cup whole wheat flour, 3/4 cup ground flax seed, 1/2 cup wheat germ, 1 teaspoon baking soda, 1 1/2 teaspoons baking powder, 1/2 cup cocoa powder, 1 tablespoon ground cinnamon, and 1/2 cup miniature semisweet chocolate chips in a large bowl. In another bowl, beat 1 cup low-fat buttermilk, 3/4 cup pumpkin puree, 1 cup brown sugar, 1 egg, and 1 teaspoon vanilla extract until smooth. Gently stir the wet ingredients into the dry, mixing just until combined. Spoon equal amounts of batter into muffin cups. Bake until a toothpick inserted in the center of a muffin comes out clean, about 20 to 30 minutes. Yields 12 muffins. Enjoy these recipes or add wheat germ to one of your own favorite. You can find wheat germ in any grocery story. It’s typically next to the cereals. I buy the Quaker® Kretschemer Honey Crunch Wheat Germ and store it in my fridge once I open it. If kept in a sealed jar and refrigerated, wheat germ can last nine months.